Bio | John C. Kruesi, Esq. Mr. Kruesi, Senior Staff Counsel in our Washington, DC office, has led our Mid-Atlantic team since 1994. In addition to his intimate knowledge of the rules of practice and procedure for the Maryland, DC and Virginia state and federal (D.C. and 4th Circuits) courts, Mr. Kruesi is Counsel Press' consultant on the unique procedures at the US Court of Appeals for the Federal Circuit. 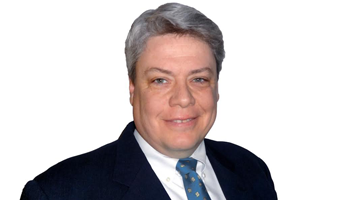 John has worked for firms from coast to coast on various patent and trademark appeals. He regularly handles complicated and confidential IP filings with tens of thousands of pages of appendix materials and unique exhibits. He is often recommended by court staff to assist counsel whose filings have been rejected. As part of his responsibilities, John also leads our electronic document team. He has been instrumental in developing our eBrief filing procedures, regularly filing fully linked briefs and appendices each month. Additionally he has been guiding the introduction of those technologies to efiled briefs. He has consulted with various courts and clients regarding cross-document hyperlinks in efiled documents in addition to other linking and bookmarking optimizations. His clients rely on his unique knowledge of the rules, procedures and unwritten practices of the many courts he services. The Washington office is one of Counsel Press’ sophisticated production facilities that produces our client's print and electronic filings. We employ the latest technology to connect, in real-time, each of our production facilities with our New York headquarters location so that we may offer all of our resources to each of our clients from coast to coast and in all time zones. You guys are my go-to resource for appellate services and you do an excellent job at it. John Kruesi and his staff are phenomenal and I wouldn’t send a print job to the Court without having you do it. Thanks again! Shepherd, Smith & Edwards L.L.P. I wish to express my sincere gratitude for the exceptional service provided by Mr. John Kruesi and his staff. Appellate work can be a pitfall for the unwary - especially for those of us who do not regularly engage in such practice. John and his team went above and beyond to ensure that all the "i's" were dotted and "t's" were crossed and the brief and appendix were filed on time. His professionalism is a model for lawyers everywhere. John Kruesi and Counsel Press are knowledgeable, dependable, computer-savvy, and provide prompt services that can perform every task needed. They are first rate. I wouldn't think of using anyone else. U.S. Court of Appeals, District of Columbia Circuit: Rule Changes Effective June 1, 2015 – Changes include updates to rules impacted by e-filing.